True. It certainly can take that long, and it really depends on the issue and degeneration of the joints, along with any inflammatory conditions. Each case must be taken on their own merits. Yes, this is true as well. In order to get the best out of the treatment and to maximize the results, patients do need to visit the practice 3-4 times a week. So if treatment is for four weeks, then we will see a patient 3-4 times a week for four weeks. Absolutely true, that is certainly very possible as we get deeper into treatment when treating a condition, old conditions may resurface. Even as chiropractors, when adjusting and decompressing joints, this frequently happens too, and it’s not uncommon for issues to get slightly worse before getting better. 4. Medicare and Medicaid does not cover expenses. True, at this point in time, these agencies sadly do not cover these costs although we have seen the VA cover these costs depending on the type of plan. It works, and in our practice, we have developed cold laser protocols which we follow for every single patient and these give us in excess of an 80% improvement rate for all our patients. We are a results driven practice because of this. 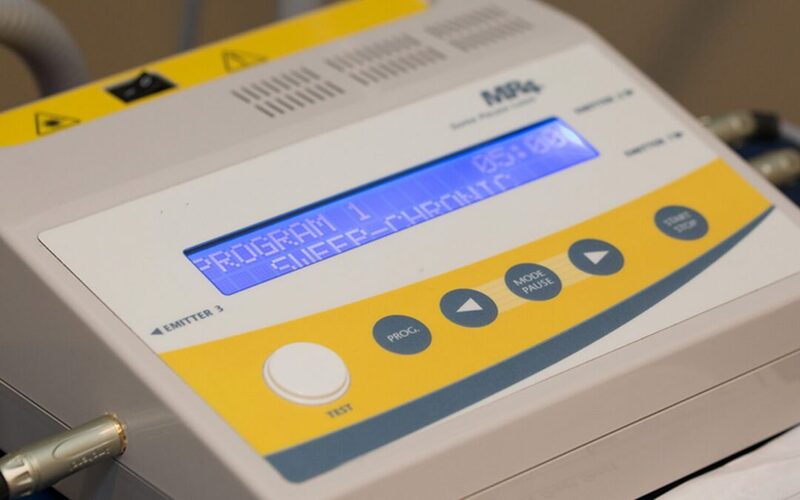 If a patient is a candidate for treatment, then with our cold laser protocols we can expect to see that patient see an 80% improvement in their condition. They may even say goodbye to their pain, but at the very least we expect to see their pain levels drop down to slight discomfort levels. At the end of the day, whether you are a DC, a DO, or an MD, patients are going to come to you because they are in pain and they want to be out of it as quickly, efficiently, and affordably as possible. If your practice does not get your patients out of pain, you are losing out. Most doctors get their patients through word of mouth, and if your practice is not getting results and helping patients get out of pain, then your referral rate is likely minimal. Furthermore, you will see very few positive reviews online. But if you want to get results for your patients, increase and improve your referral rates and receive a ton of positive reviews online, which will ultimately result in more and more patients each month, then cold laser therapy plus our cold laser protocols are for you. Our very own practice has grown significantly over the past three years as a result and we have seen up to 55 new patients a month because of these protocols. The advantages of properly administered cold laser therapy greatly outweighs the minor short term disadvantages of the treatment, and your patients too can see the great pain relieving results that my patients have received. Watch the video of this blog post on our YouTube channel.